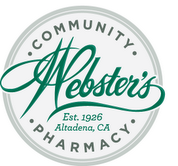 Join the Altadena Chamber of Commerce for the 95th Annual Awards dinner on February 1, 2019, at 6 PM at Altadena Town and Country Club, honoring Ed & Carrie Meyers and Webster’s Community Pharmacy & Meredith M. This event is open to the public with the purchase of ticket below. Online Ticket Sales are Closed! We still have a few available please call the office at 626-794-3988 to arrange purchase.